Two Senegalese brothers who recently emigrated to the United States, where attacked by some of their fellow school students, after being called “Ebola.” The boys who are 11 and 13 years old respectively, and are in the sixth and eight grade, were beaten up at I.S. 318 school in Tremont, New York on Friday afternoon in the schoolyard, NBC reports. Sources say the boys have been in the US for just one month, and had been taunted endlessly for two weeks by the students. Their father, Ousame Drame, stated that the students who bullied his sons had told other students not to talk to them, and would whisper “Ebola” every chance they got. 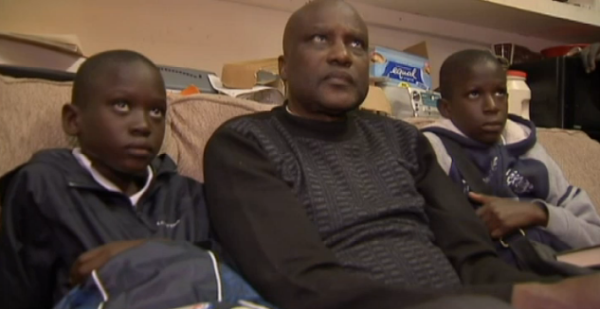 Although Drame’s sons were raised in Senegal, they were born in America. “They have every right to be here,” said Drame. After the incident, the boys were taken to the hospital for treatment.